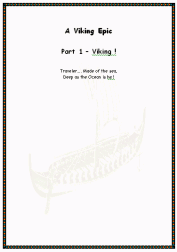 Wilmots poetic A Viking Epic, Part One - Viking ! 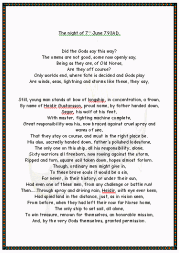 Major new unconventional modern poetic epic of Viking warriors, Norse Gods and Magick ! 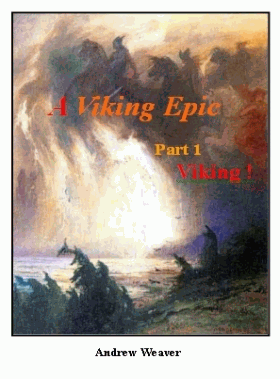 A Viking Epic, Part One - Viking ! A mission that will affect the whole future of Asgard ! When lighted dragons flew the skies. With long yellow hair and deep blue eyes. An unconventional modern poetic epic work including Viking warriors and wenches, Norse Gods of Valhalla, magick, elf, dwarf, wolf and of course Viking battle. And further Parts also here soon. This PDF Ebook on sale now here at £4.00, or read a free extract taster !! NOTE : Some other Wilmots books by Andrew Weaver and Sonja Peackock include 'dreamweaver - the poems' and 'The Storie Of Faerie Glade'.